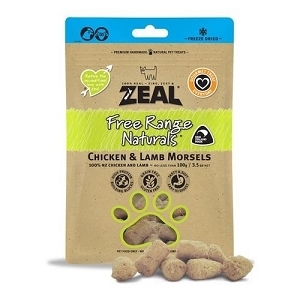 Zeal Free Range Naturals Chicken & Beef Morsels Freeze-Dried Cat Treats are made from free range meats: 50% New Zealand Chicken and 50% New Zealand Beef. 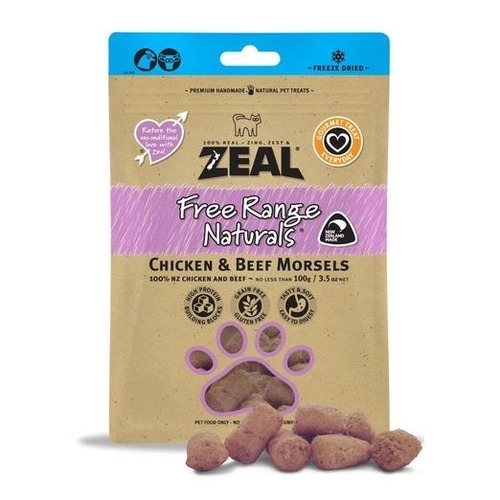 Zeal Free Range Naturals Chicken & Beef Morsels Freeze-Dried Treats are made from free range meats: 50% New Zealand Chicken and 50% New Zealand Beef. 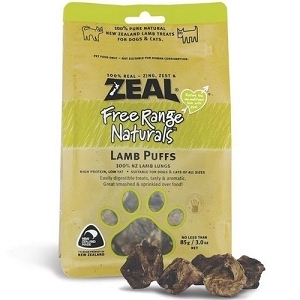 The freeze-drying process gives these Zeal Free Range Naturals Morsels Treats a soft texture, making them easy to chew and digest. 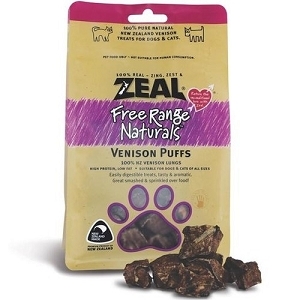 Zeal Free Range Naturals Morsels Treats are literally freeze-dried meats with no artificial additives or fillers whatsoever; it doesn't get any healthier than this!